My favorite time of year is when the television is chock full with Christmas movies. 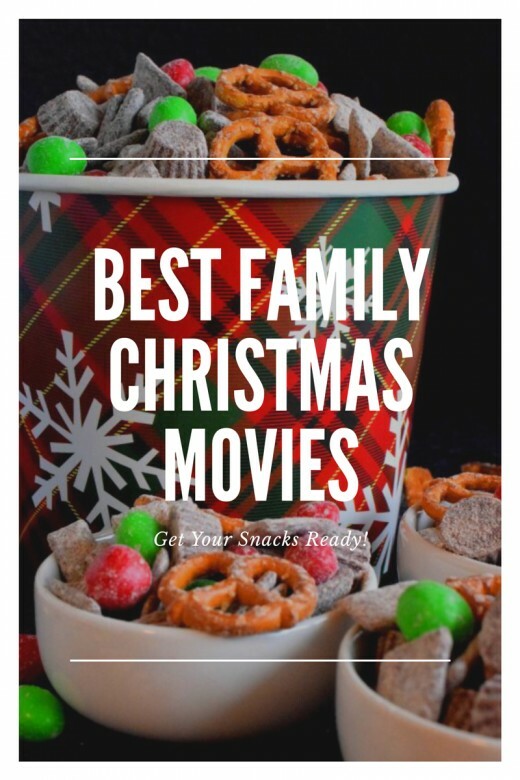 Even better is when we can all sit down as a family and enjoy the best family Christmas movies and snacks. My children love picking out their favorites for movie night. Let's find out which movies make the list! "You're going to shoot your eye out!" It's just not Christmas Day without this film playing 24/7 on a loop. This classic film from 1983 you will have no problem finding on the television. As a child I loved this movie. It stars two children eager for Christmas day and a Red Ryder BB Gun that can relate to our own children and enough comedy to keep the adults entertained. Remember the leg lamp anyone? Or the pink bunny pajamas? Sit down with the whole family and a bowl of popcorn on this one and enjoy this classic Christmas movie sure to please all ages. Here is another classic Christmas movie that I thought would relate more to my eldest child but indeed is well loved by my youngest. She loves this film so much that we have it on DVR, DVD, and she watches it all year round while calling us all filthy animals! Eye Roll. 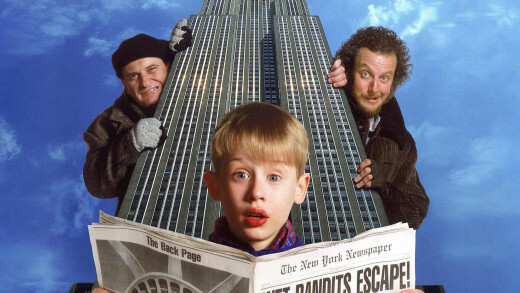 Premiering in 1990, it stars Macaulay Culkin as the main star, Kevin McCallister, and his large and crazy family. The McCallister's are going away on vacation for the holidays to visit family in Paris. But, when Kevin gets into what seems like an all too common fight with his older brother Buzz, Kevin gets sent up to the scary 3rd floor bedroom/attic to sleep and think about his actions. The next morning the family finds themselves rushing to get to the airport on time and they forget to wake up Kevin! What follows is non-stop comedy of a family stuck in Paris trying to get back to a child home alone, a child way more happier then he should be to be free of his crazy family, and two burglars, Harry and Marv, desperate to get their thieving hands on the McCallister home. Sit down and buckle up for a comedic ride! Home Alone was so popular, it is listed in the Guinness Book of World Records as the highest grossing live action comedy of all time! The film also spent 12 straight weeks as No. 1 at the box office. They're back! There are not many movies out there that can follow up with a sequel that is just as good as the first one. Home Alone is a rare exception. Being another family favorite, this film has the same cast as the first with the same enjoyable laughs. This time, the McCallisters are trying to enjoy a nice family holiday vacation in. Only they don't forget Kevin, he gets lost in the airport and winds up on the wrong plane! A small child lost in the biggest city there is, New York City. Smart enough to land an exquisite room at the prestigious Plaza Hotel and armed with his fathers carry on bag with plenty credit cards and cash, what could possibly go wrong? Of all the coincidences there is, who might Kevin see on the streets of the Big Apple? Harry and Marv, the burglars he got locked up from the first film freshly escaped from prison! We are in it again for some great laughs and booby traps in this equally hilarious film! 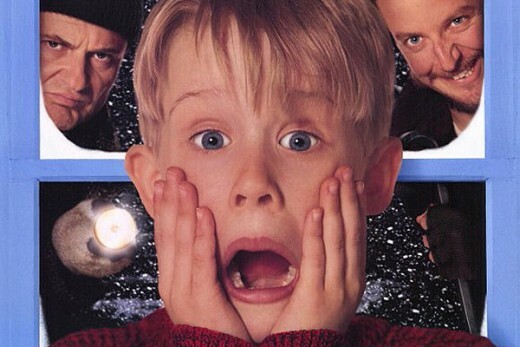 Which Home Alone film was your family's favorite? Strange, isn't it? Each mans life touches so many other lives. When he isn't around, he leaves an awful hole doesn't he? Christmas is absolutely not Christmas until you have watched this critically acclaimed film. Try researching the best Christmas movies of all time and I will guarantee most will have this movie as it's top choice. Why? It's a Wonderful Life (1946) is considered one of the most loved films in American Cinema and reasonably so. It's amazing! 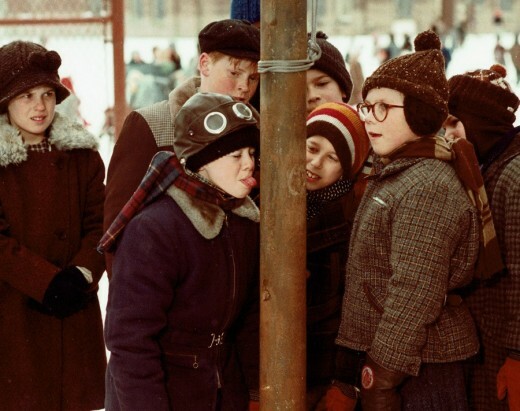 This film is a tradition; an absolute Christmas staple in our home and I suspect in many other homes as well. 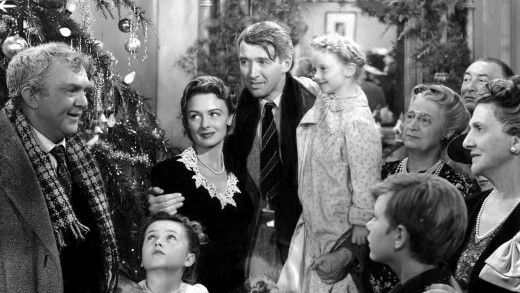 The movie stars James Stewart as George Bailey. George is a man who has given up on his dreams and spends his life helping other people. However, he becomes severely depressed and decides to end his life by jumping off of a bridge. Then enters his guardian angel Clarence who ultimately saves George's life by taking him into a series of flashbacks showing him what life would be like in his hometown of Bedford Falls, New York had George never existed. Get the tissues ready for this tearjerker ending. Will George realize that he indeed has a wonderful life? Seeing isn't believing, believing is seeing! There's no way I could not add this Christmas movie that has always me laugh until my stomach hurt. It was my favorite as a kid! I remember begging my parents constantly for the VHS tape and when I finally got it, I watched it over and over while pretending I was an elf working at the North Pole making toys. Now, it has become a family favorite in my home. I have always been a big fan of Tim Allen but the thing about this movie that differentiates it from others, is the child doesn't steal the show, Tim Allen does with his hilarious antics! Tim Allen stars as divorced father Scott Calvin. Coincidentally, the same initials as Santa Claus. Wink. 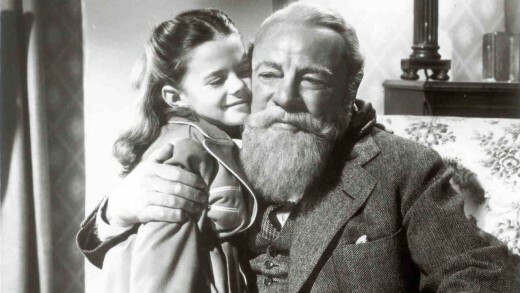 His son, Charlie, reluctantly comes to stay with his father on Christmas Eve. Charlie then wakes up in the middle of the night to some very strange noises on the roof. Scott runs outside in his underwear to see what's going on and scares the crap out of Santa leading to him falling off the roof and then disappearing leaving only his suit behind for Scott to put on and finish up Santa's trip. Scott, not believing in the whole Santa Claus thing, annoyingly puts on the suit to alleviate Charlie's begging. But after they finish delivering toys, the reindeer take them back to the North Pole where Scott comes to realize that in putting on the suit, he has now accepted the CLAUSE. To be Santa Claus of course! What follows is a comedic ride but also a heart warming one. Sit down with the whole family and enjoy this box office hit! Here's to yet another Academy Award Winner and a classic, traditional family favorite. This one is not best suited for the younger kids unless you have let the "there is no Santa Claus" out of the bag already. It's a classic that seems to always appeal to kids and adults from generation to generation. The film is also considered the best film in 1947! Edward Gwenn stars in this magical movie as a man named Kris Kringle who sets out to find the man who is supposed to star as Santa in the Annual Macy's Thanksgiving Day Parade. But when Kris finds him, he is completely drunk! Doris, played by Maureen O'Hara, is the director of the parade and asks Kris to take his place. Come parade time, Kris Kringle does such a fantastic job that he is hired on as Santa! He eventually comes to love his role as Santa before believing that he actually is Santa! Follow along in this film through a memorable look into an older and more classic New York City and a man many people want evaluated for his mental health. Is Kris Kringle indeed Santa Claus? I remember the first time I watched this film, I was completely blown away by the breathtaking animation. That's because they used real human characters and made a live action performance capture into animation. 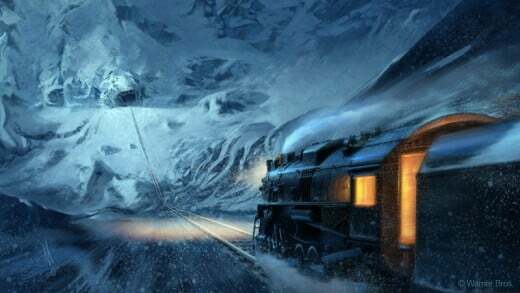 As a matter of fact, The Polar Express is yet another Christmas film to make it into the Guinness Book of World Records, this time as the first all digital capture film. Amazingly, Tom Hanks plays 6 fantastic roles in this movie. Who doesn't love Tom Hanks?! The story takes place in the 1950's on Christmas Eve. A young boy is at that age where he is questioning his belief in Santa Claus. But as he is asleep in his bed that night, he is awaken by the sound of The Polar Express train stopping right outside his house! Fascinated by the train, the conductor informs him that they are headed to the North Pole. On the train, he encounters other young children there to take the journey as well. This is a magical, yet deeper story about truly believing. Even tough critic Robert Ebert had given it his highest score and noting the films "haunting, magical quality." This is a film I see far into the future becoming a Christmas classic! I would give just about anything to live in Whoville, especially when you can go shopping at 90% off! This one is for my oldest daughter. Her and I have to sit down every year with a big bowl of popcorn and a cozy, warm mug of hot chocolate and get this movie under our belt. It's her favorite! This is Dr. Seuss' first film to be adapted into a full length feature film. Also, it is the second highest grossing Christmas film of all time behind Home Alone. 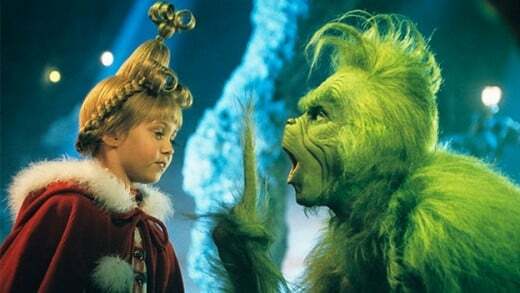 The movie stars Jim Carey as the Grinch and he plays the role perfectly! Everyone in the town of Whoville absolutely loves Christmas and pulls out all the stops at making it a cheerful and glorious celebration. However, the Grinch hates Christmas due to some horrendous bullying as a child. After a rather embarrassing event at school one day, the Grinch swears off Christmas and the town of Whoville before escaping to a cave on top of a mountain never to be seen or heard of since. Over the years, that lead to him not being particularly liked for his outlandish pranks or an urban legend made up by the younger generation that terrifies them. 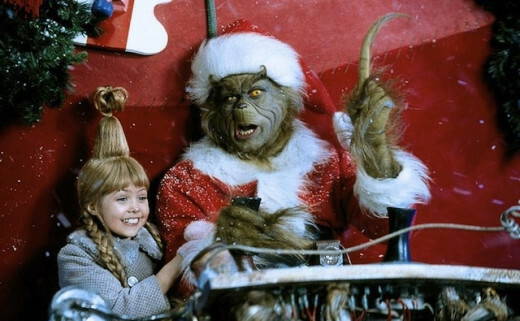 Cindy Lou, played by Taylor Momsen, is a bit different however. What a curious and brave soul she was. After spotting the Grinch and not convinced he is the sadistic creature everyone says he is, nominates him for the Cheermeister Award at the annual Christmas Whobilation Celebration. The older kids and the adults will love this one for the humor. Sit down and get ready to laugh, I do every time! 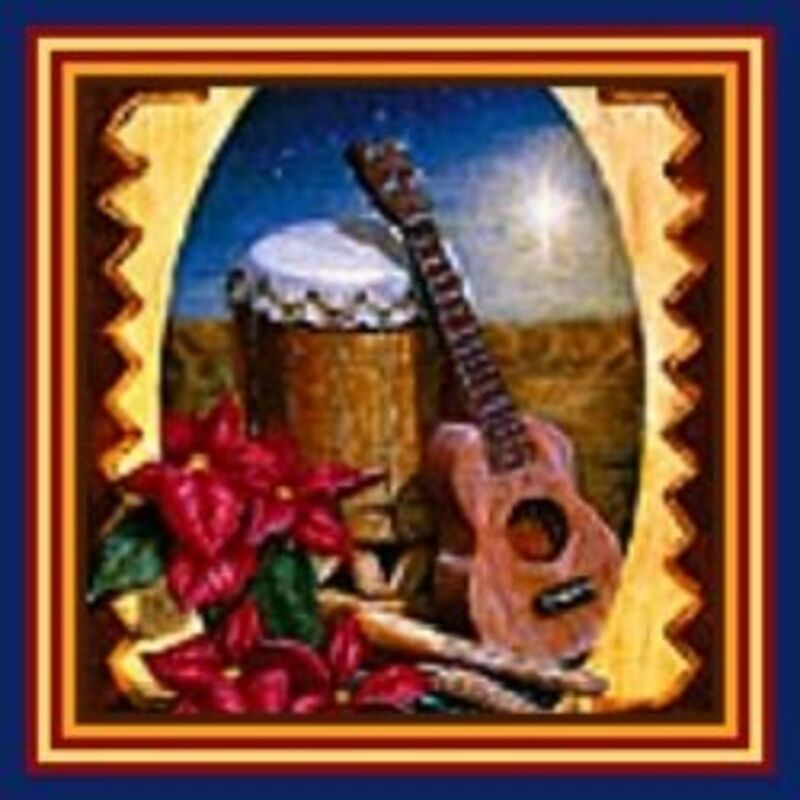 The best way to spread Christmas cheer is singing aloud for all to hear. Buddy the Elf. Need I say more? "Santa! I know him!" This 2000 Christmas comedy starring Will Ferrell, James Caan, and Zooey Deschanel seems to be another funny family favorite. Buddy, played by the awesome Will Ferrell, stars as an over sized Elf, whom his fellow elves have convinced him his largeness is due to him being "special". One day he overhears another elf revealing his true identity. 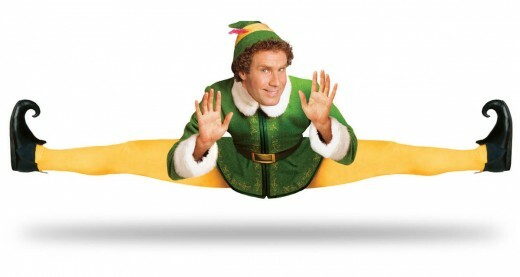 Buddy the elf isn't indeed an elf at all, but actually a human! The story goes that Buddy was given up for adoption when he was born, and one night when Santa was visiting his orphanage, Buddy, fascinated by Santa's sleigh, slipped into his bag of toys where he was then taken back to the North Pole. The fellow elves took him under their wing and put Buddy to work in the workshop! After Buddy realizes his true identity, he sets off to the Big Apple in search of his biological father. With a whole new world out there, watch Buddy bring Christmas cheer to a city full of skeptics. And watch a man encounter his father for the first time only to realize he is on Santa's naughty list! Get the tissues ready for the tears. Not tears of sadness though, you will laugh so hard you cry! It just simply cannot be Christmas in our house until we have our musical Charlie Brown Christmas tree over top of our fireplace. That single, weepy tree with one single red bulb placed upon a flimsy branch, makes us all smile during the holidays. 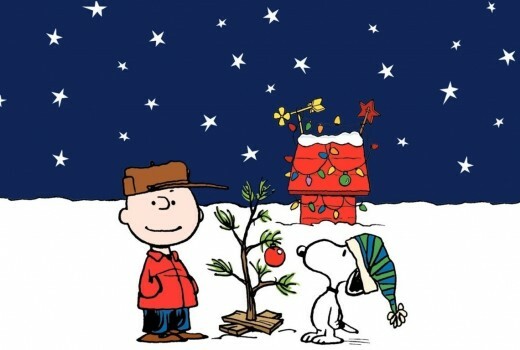 There's no other film out there that can really show you better message than A Charlie Brown Christmas. This television special is aired every single year traditionally since it first premiered in 1965. The special is based off of the late Charles M. Shulz's famous comic strip Charlie Brown. Charlie is depressed this Christmas and truly feels alone while it seems like everyone else is celebrating Christmas but in a very materialistic and commercial sort of way. Charlie confides in his friend Linus about his depression before somberly heading over to Lucy's famous psychiatric booth. Lucy tells him that he should direct a Christmas play in hopes of bringing his spirit up. Charlie goes forth with the idea, but when things head in a very frustrating and embarrassing way for Charlie, he walks away from the play. Will his friends finally discover the true meaning of Christmas and help brighten Charlie's Christmas? There are many films out there with adaptions to the classic Charles Dickens novel A Christmas Carol, and I love just about every one of them. However in my experience, the kids seem to gravitate towards this one and that is perfectly fine with me because I love A Christmas Carol and I love The Muppets! 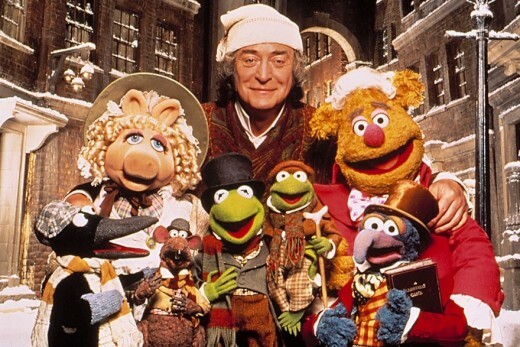 The Muppet Christmas Carol does follow Charles Dickens story very closely. This film was also the first Muppet film since Muppets creator Jim Henson died and also fellow puppeteer Richard Hunt. This film is dedicated to their memory. Gonzo stars as Charles Dickens himself in this movie and narrates as him throughout the film while Michael Caine stars as Ebenezer Scrooge. Scrooge is a grouchy old man who cares about nothing else but himself and money. Even the poor get no sympathy from him as he believes the world would be better off without their existence all together. He especially hates Christmas. But when Scrooge is visited by the ghost of Christmas past, the ghost of Christmas present, and the ghost of Christmas yet-to-come, Scrooge comes to see life and the spirit of Christmas in a whole new way. Spend some time with the family on this classic sprinkled with the comedic relief of The Muppets! 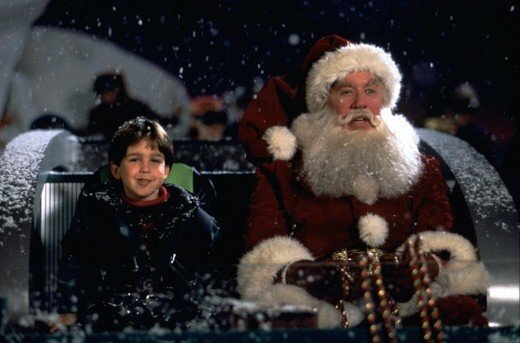 Do you have a favorite family Christmas movie that is not on the list that you feel should be? Please let me know in the comments below! And I wish you a very Happy Holidays from my home to yours. Which Christmas movie is Your favorite? I love them all except for A Christmas Story. For whatever reason, I have never liked that movie, and I know I am in a very small minority. What I like most about this article is the fact that you wrote it early for the holiday season. That gives it a chance to circulate on the internet so that by December it will do well with the search engines. Nice job, Brianna! Thank you so much Carolann! I'm glad you enjoyed. 4 years ago from Jackson, Mi. My goodness, I can see you worked long and hard on this article and what a nice article. Thank you for your hard work and I may refer to this article come Christmas. Have a blessed day.